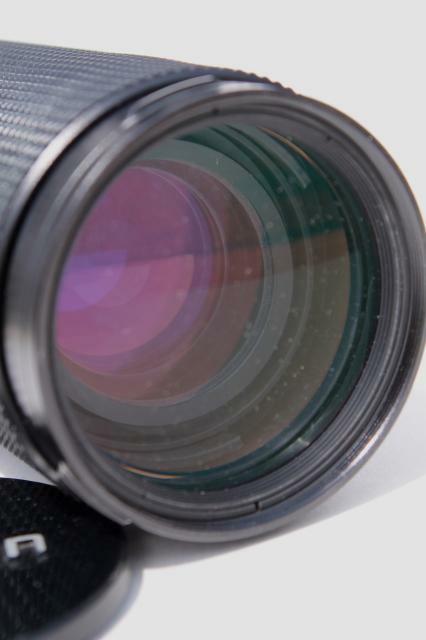 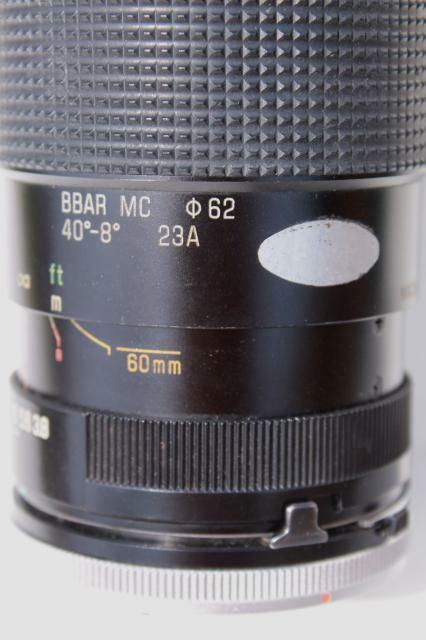 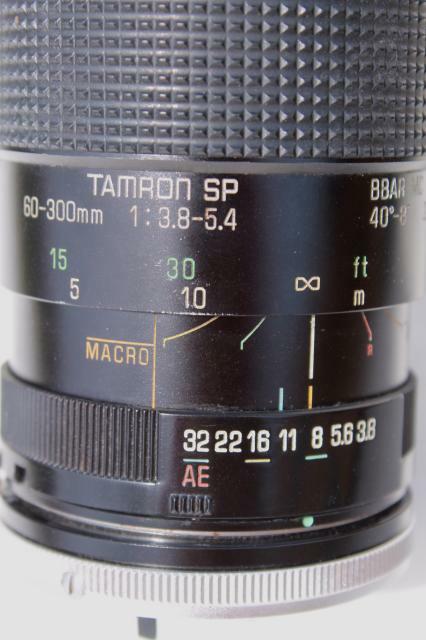 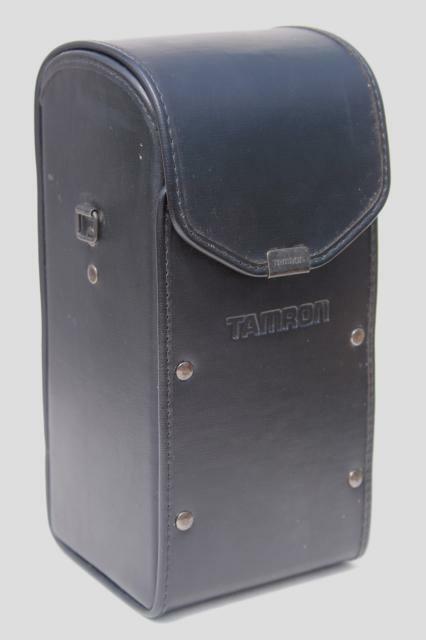 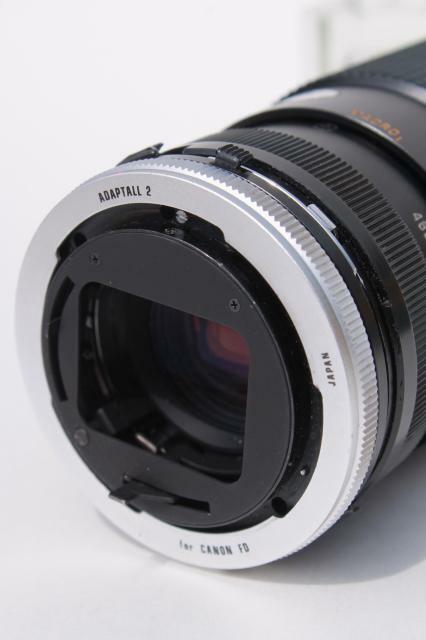 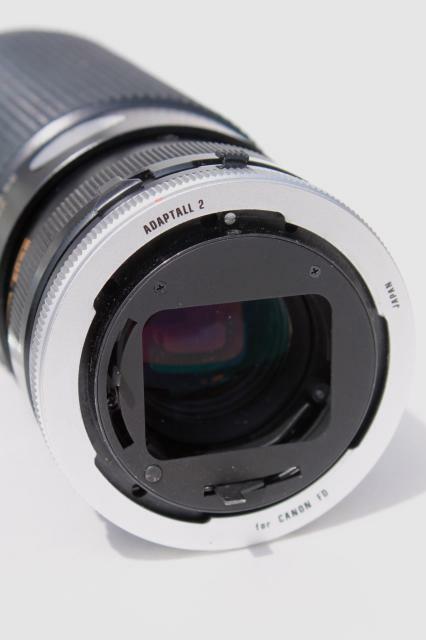 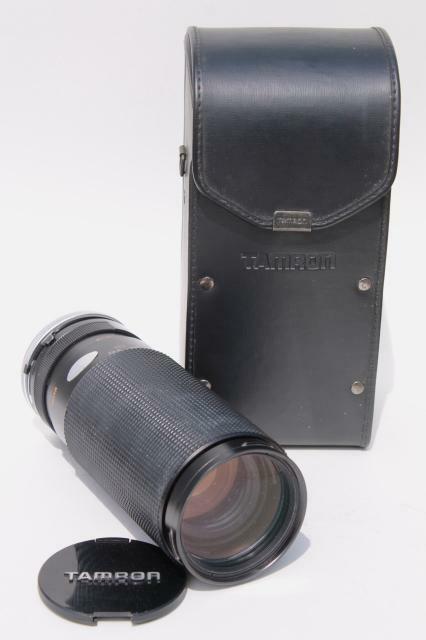 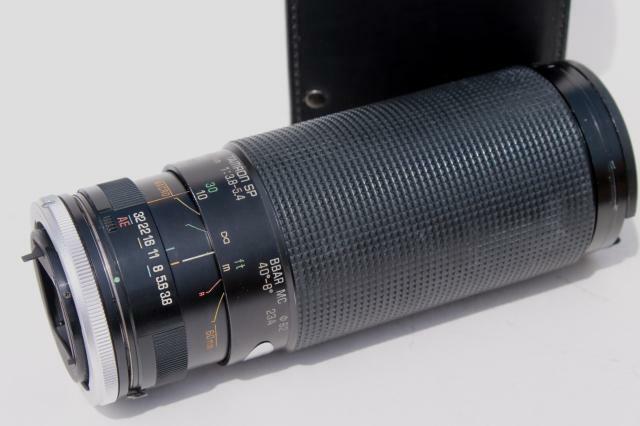 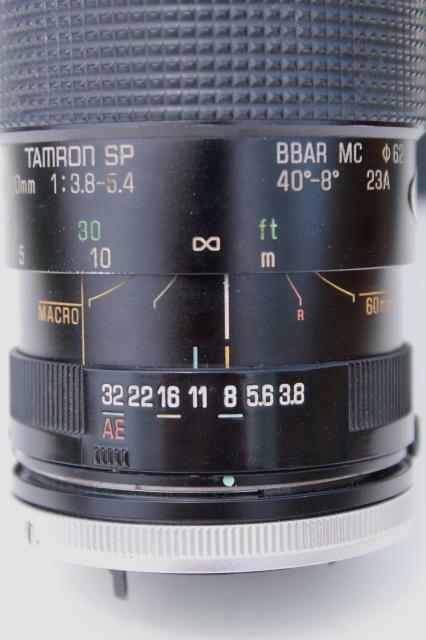 Retro vintage Tamron SP 60-300mm zoom lens with Adaptall 2 for Canon FD mount and case. 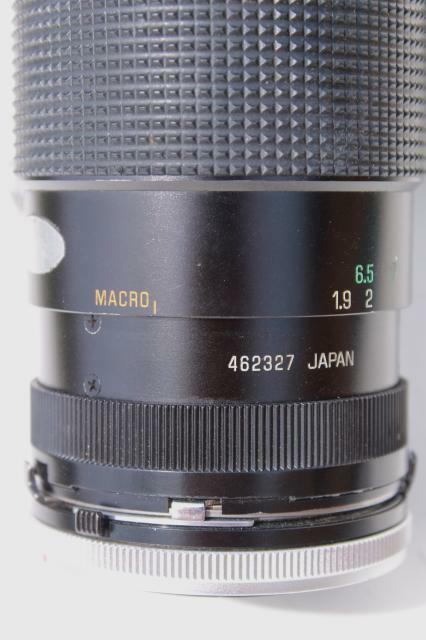 It's marked made in Japan. 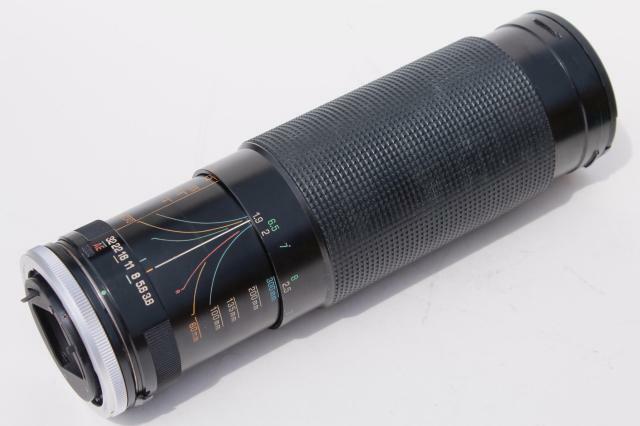 This is in overall nice clean condition with no scratches that we can see. 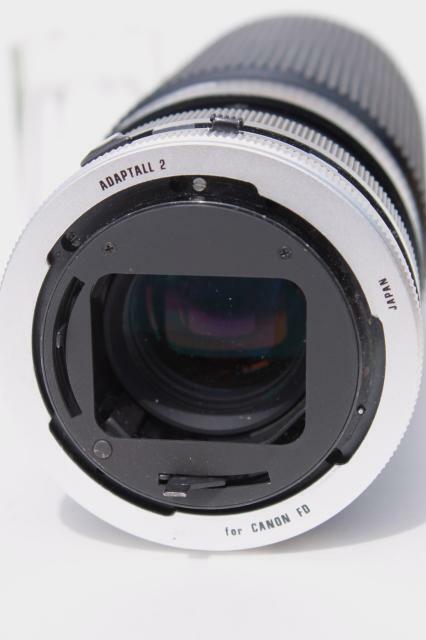 However, the lens cap is broken and there's a little light dust.